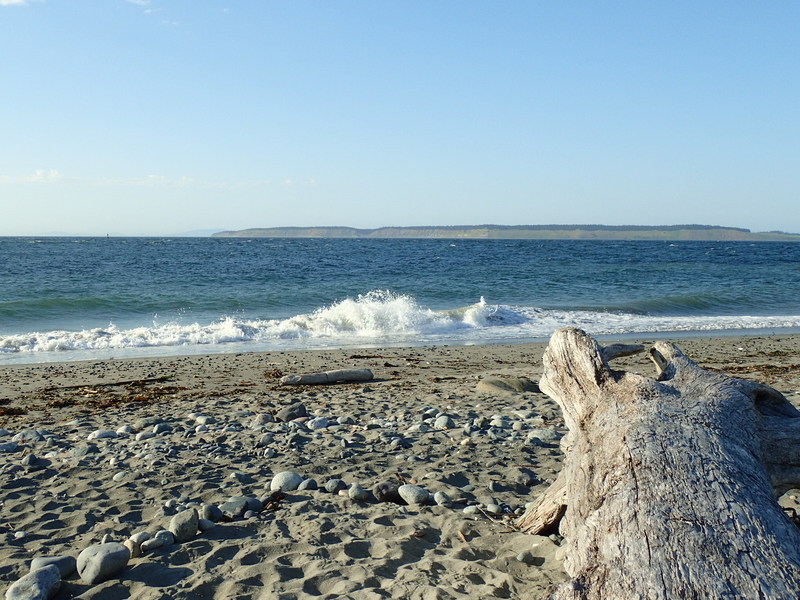 Got a day to spend in Port Townsend, Washington? This small seaport packs significant historical punch — including dozens of pre-1900 heritage buildings and businesses, many owned and operated by residents keen on preserving and sharing their town’s history. I made a day trip to Port Townsend in May 2018. There, I devised my own “history lover’s itinerary,” which fits 12 stops into 12 hours. The itinerary follows some background information below. Enjoy! 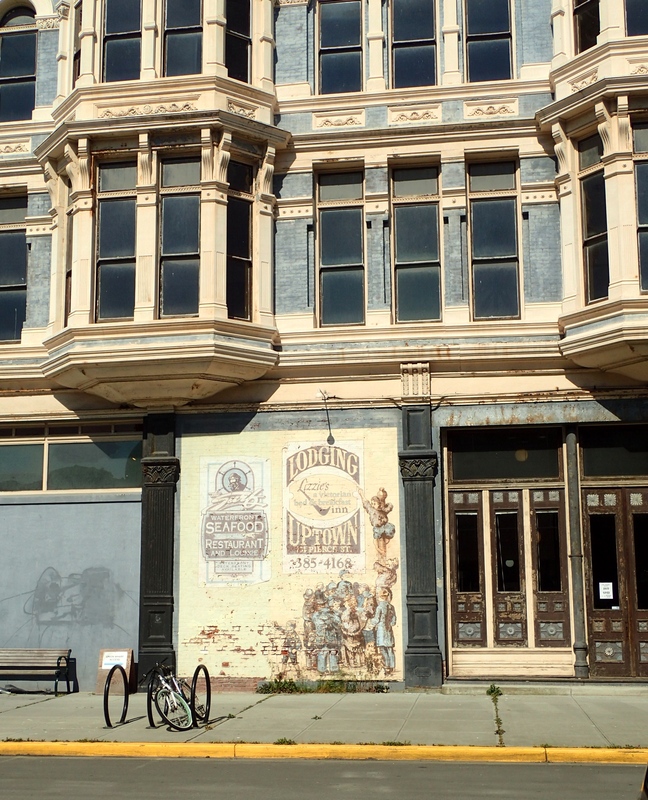 Old advertisements are a common sight on Port Townsend’s historic buildings. But the economic downturn of 1893 changed the town’s future. 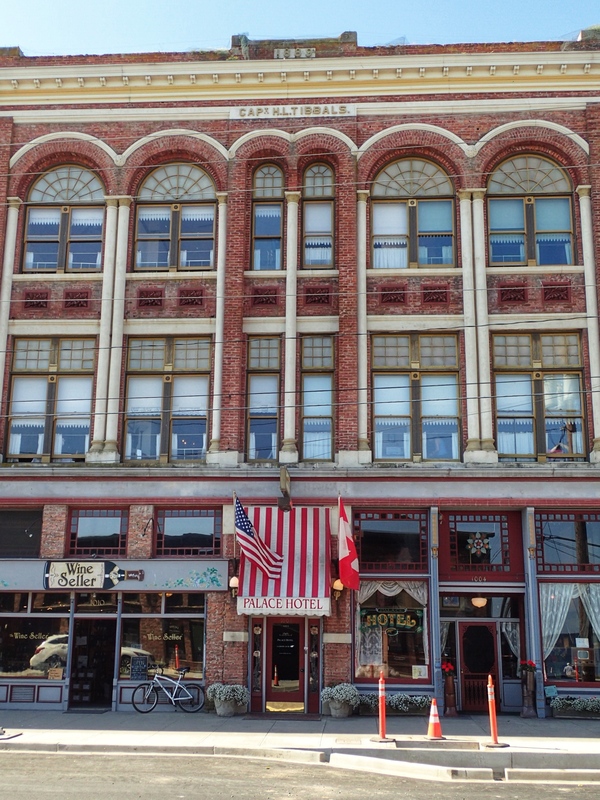 Money and people left in a hurry, and Port Townsend never regained its footing as an industrial hub — bad for the town’s economic fortunes, perhaps, but good for historical preservation: many of its Victorian buildings remain untouched by development, and several local shops, hotels and theatres still trace their roots back to the 19th century. 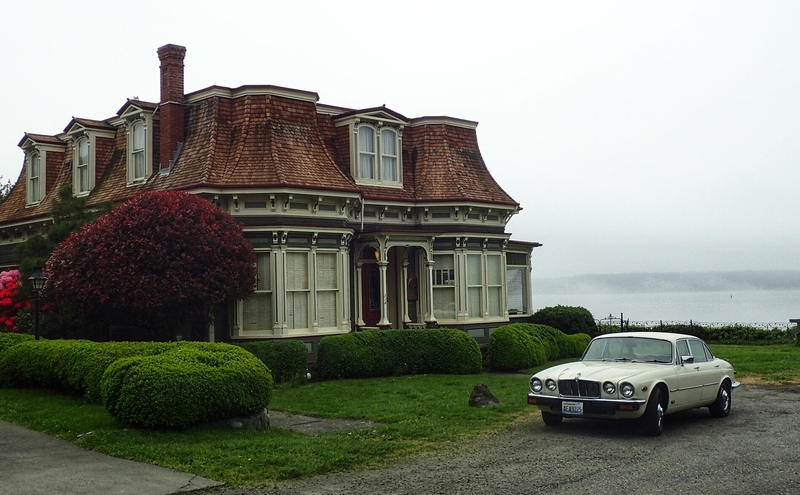 So Port Townsend, or “PT” as the locals call it, has a lot to offer the history enthusiast. Below is the historical sight-seeing itinerary I followed during my day trip in May 2018: 12 stops in 12 hours. Stops one through eleven are all within walking distance of downtown, and all stops are free, unless noted with an asterisk. If you arrive in town early enough, you might even score a free 24-hour parking spot in the lot at Monroe and Washington Streets. Take a self-guided walking tour of PT’s historic homes and buildings. Many pre-date 1900 and are in excellent condition. 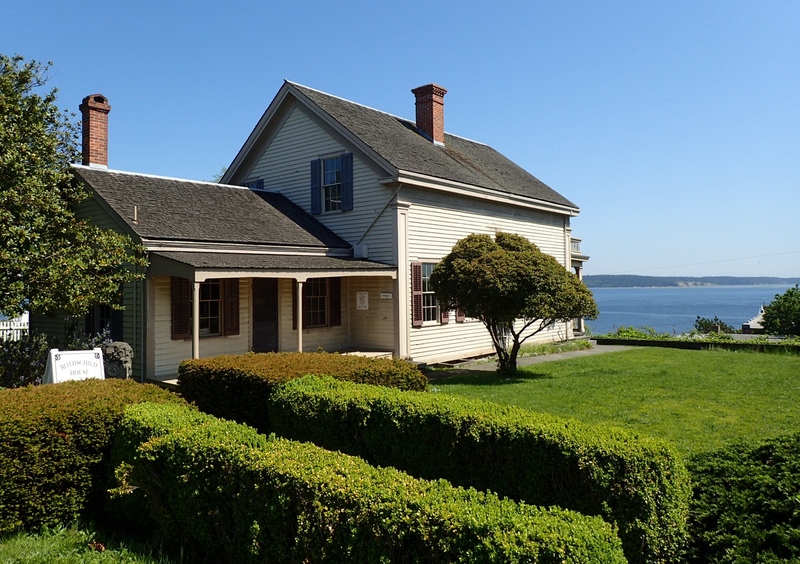 The Visitor Centre provides a suggested route on its Port Townsend & East Jefferson County Map, or ask around for the excellent (and now-out-of-print) Enjoy Port Townsend: Tour of Historic Homes & Buildings – merchants and hoteliers around town still have copies. Plan on one to two hours to walk the full route, which passes the palatial courthouse, homes grand and modest, and some 50 other 19th century structures. Learn more in advance at PTguide.com – Historic Homes. 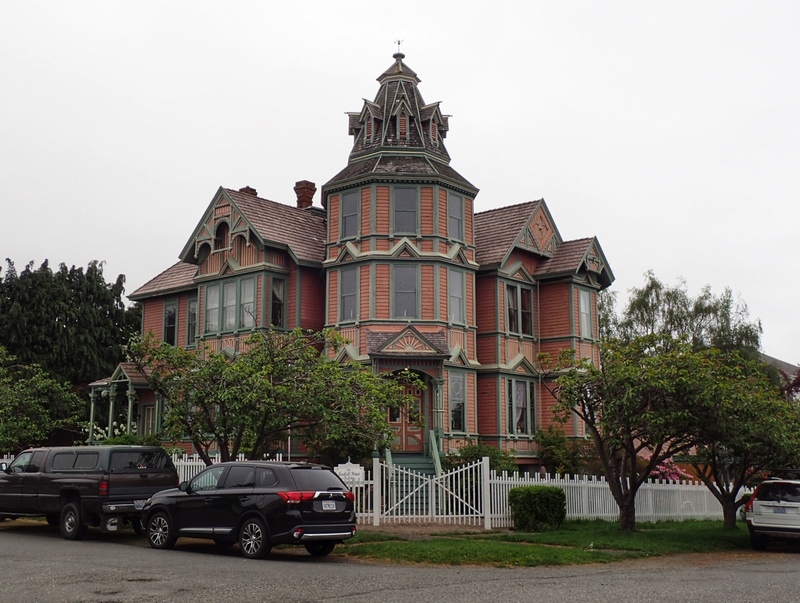 The George Starrett House (1889) might be the most ostentatious home in town. 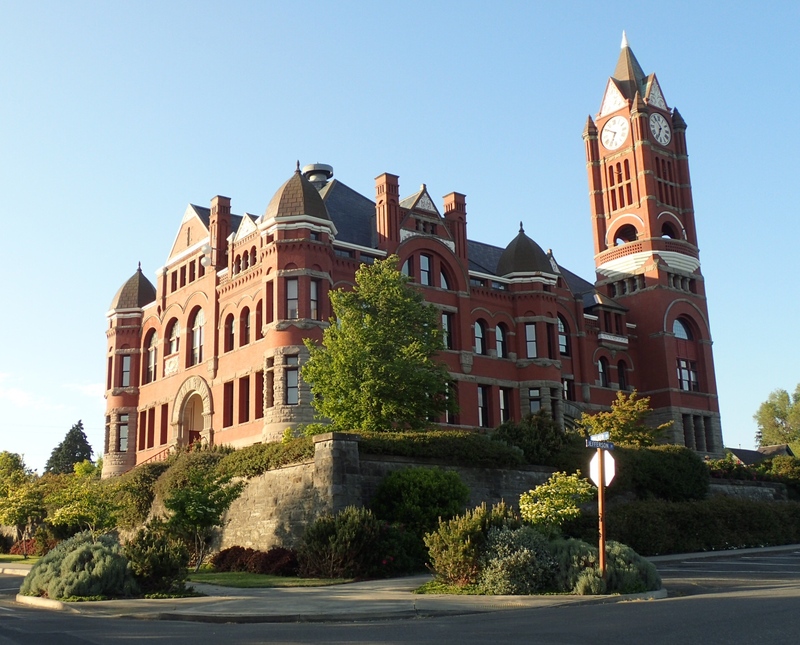 The Jefferson County Courthouse (1892) is one of the oldest government buildings in Washington. The Bartlett House (1883), with its mansard roof and sea views, is my favourite of the tour. 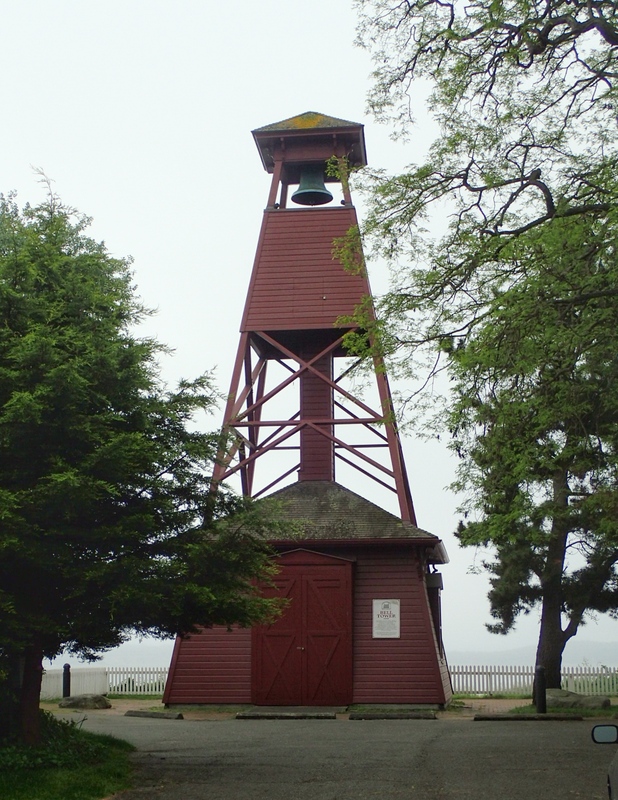 Visit the last remaining wooden fire bell tower in the United States. 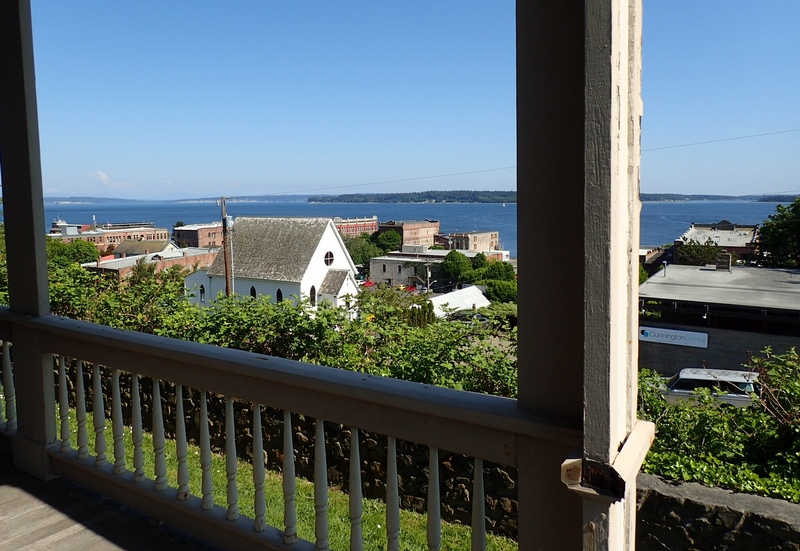 Overlooking town from the foot of Tyler Street, Port Townsend’s 75-foot bell tower was built in 1890 and holds a 1,500-pound brass bell that was rung in coded sequences to signal a fire’s location and severity. From the base of the recently restored tower, you’ll find excellent views of PT’s historic downtown and harbour. The wooden fire bell tower (1890) on a misty morning. View of Port Townsend’s historic waterfront from the base of the fire tower. The ferry dock is at far right. Visit the headquarters of Pygmy Boats, manufacturer of make-it-yourself wooden kayak kits since 1986. Arrive between 10:00 a.m. and 3:00 p.m. on a Monday through Saturday and you can take a wooden kayak for a test spin. 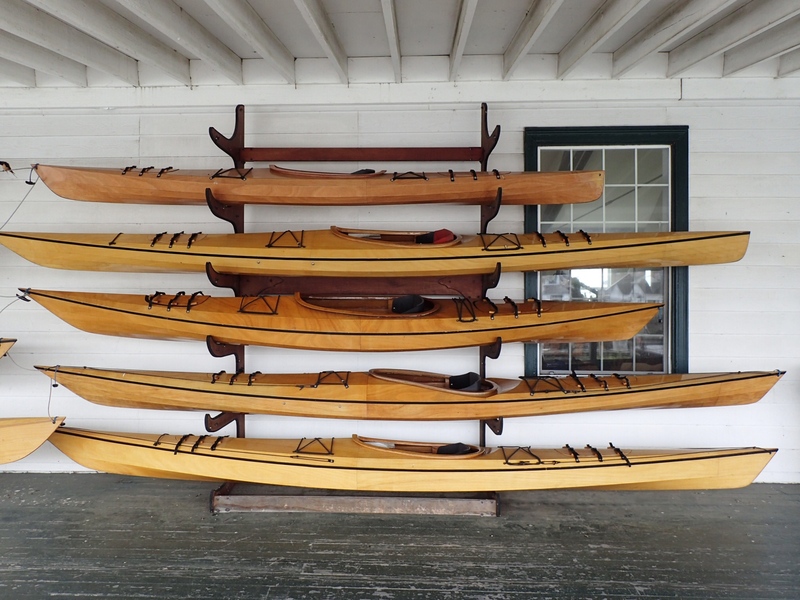 Outside those hours, it’s worth a visit to gawk at the racks of gleaming kayaks on display in the shop’s covered porch. One of several display racks on Pygmy Boats’ open front porch. Poke your head in the Boatshop at the Northwest Maritime Centre and watch normal folks like you and I build their own wooden watercraft — sailboats, kayaks, surfboards and more. Boatshop volunteers welcome curious onlookers, and if you plan ahead, you can even enrol in a boat-building workshop. Take a “doors-open” tour of the Palace Hotel. Built in 1889, the Palace was also a thriving brothel. The current 19-room hotel retains many of the building’s original Victorian features, including 14-foot ceilings, soaring windows, swooping staircases, shared parlour areas and period fixtures and furnishings. The friendly proprietor keeps the doors to unoccupied rooms open and encourages visitors to wander through, free of charge, anytime. The front facade of the charming Palace Hotel (1889). Visit the Jefferson Museum of Art and History and peruse displays on local history, area pioneers, regional artists and more. * The museum is situated in PT’s original 19th century city hall, courthouse and fire hall, with displays arranged throughout these historic spaces. 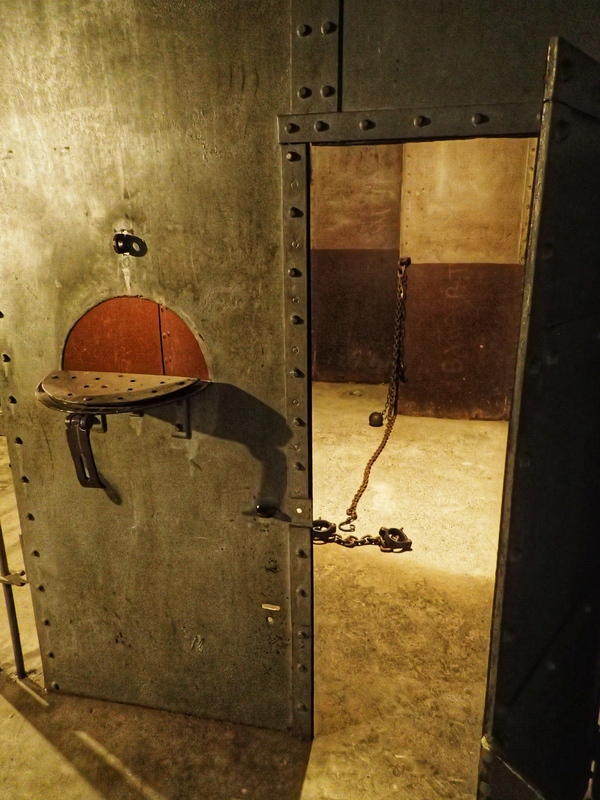 Downstairs, you’ll find the jail used by the town’s original police force — complete with an eerily empty ball and chains in the iron-clad solitary confinement unit. The solitary confinement unit in the old jail at the Jefferson Museum of Art and History. Have lunch at Aldrich’s Market, the oldest grocery store in Washington State. Aldrich’s has been operating under the same trade name for over 125 years. Hike to the market’s uptown location and choose from their selection of fresh sandwiches, soups and salads, local organic produce, and locally baked goods. Aldrich’s is a local favourite, with good reason. There is seating and a sushi restaurant upstairs. Visit the Rothschild House Museum, a home frozen in the 19th century. * Local merchant D. C. H. Rothschild built the house in 1868, and members of his family occupied it — changing very little inside or out — until 1954, when they dotated the furnished home to Washington State Parks. A helpful docent and information placards provide context, and there is a lovely view of the harbour from the sunny front porch. The Rothschild House Museum (1868) occupies a sunny hilltop spot with a view. The view from the front porch of Rothschild House. 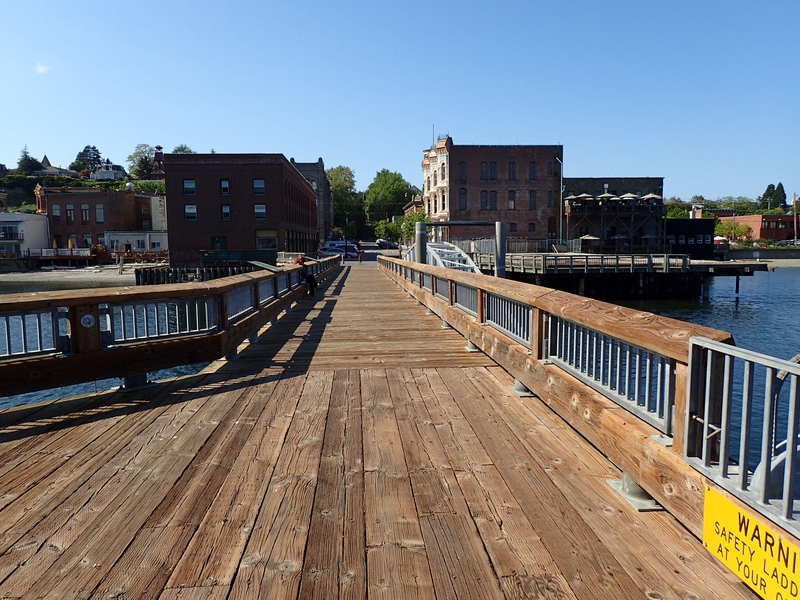 Walk to the end of Union Wharf for a look back at PT’s historic waterfront and the comings and goings of the Washington State Ferry from Coupeville. The original dock was built in 1867 to serve the Union Wharf Co., considered by some to be Washington’s first corporation. The dock was rebuilt in 1932 and again in 1997, but it’s a great vantage point. Keep an eye out for the recreated 1890s-style light fixtures! Looking back on town from the end of Union Wharf. Stop for snacks at Elevated Ice Cream and Candy Shop, where you’ll find artisan ice cream, handmade chocolates and scores of mix-and-match bulk candies in unique flavours. Not historic per se, but who can resist mint chocolate malt balls? Neat to know: the shop originally operated out of an antique Victorian elevator cage in a courtyard. Take in a show at the Rose Theatre, a 1907 vaudeville house that still sports its original interior murals and tin-tile ceiling — plus charming (modern-day) staff who personally introduce films from the front of the house. 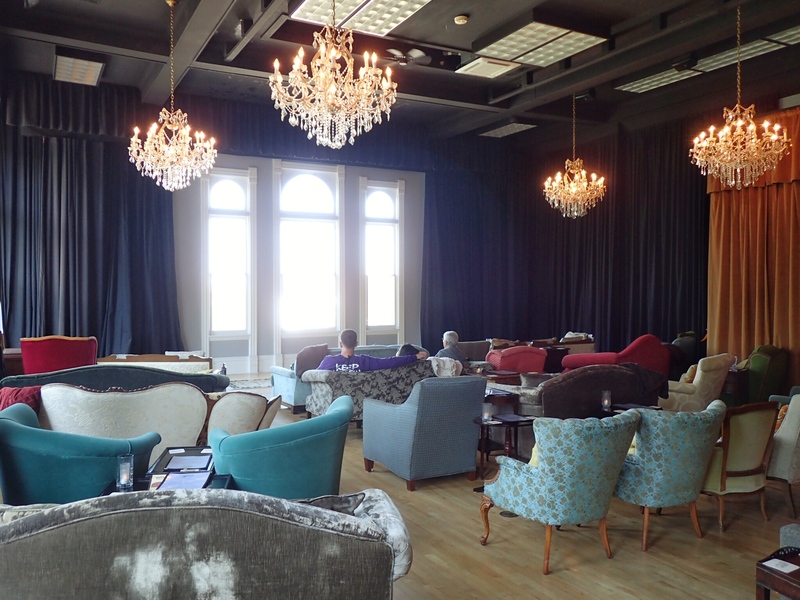 For a more upscale experience, climb the 55 stairs (or take the elevator) to the ages-21+ Starlight Room, an intimate top-level screening room featuring plush loveseats, period wingbacks and food and drink service from the cafe downstairs. Movie bliss! 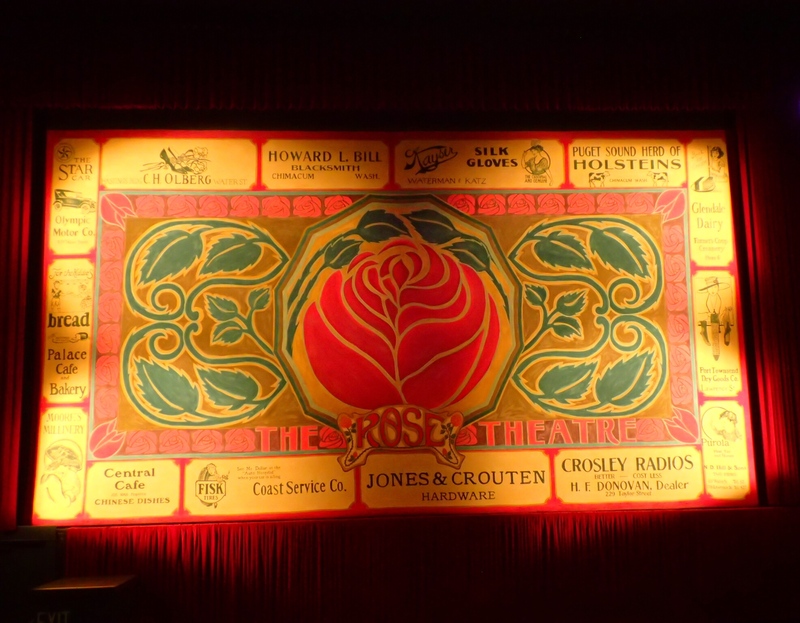 The unique hand-painted screen cover at the Rose Theatre. Waiting for a screening in the plush Starlight Room. The screen drops down in front of the window! 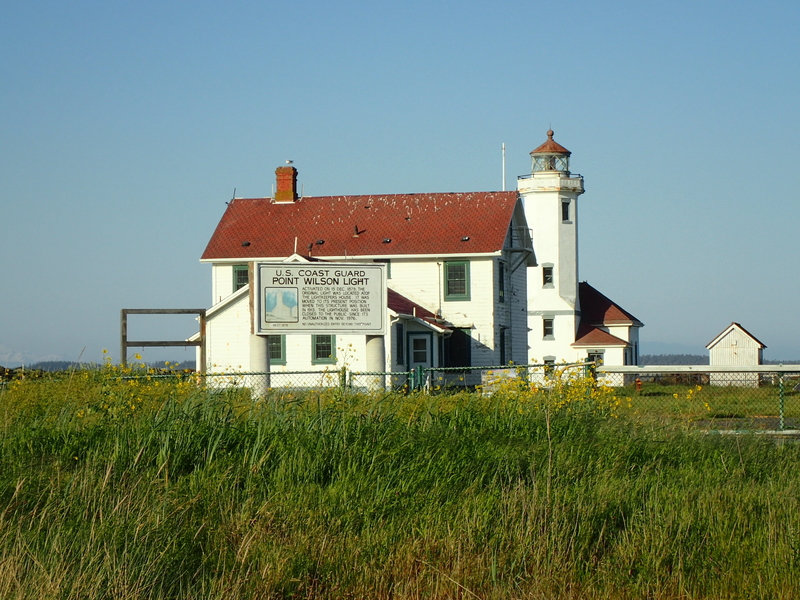 Drive through historic Fort Worden State Park to Point Wilson and watch the evening light play on the water. The beach here is windy, but in a good way: the scents and sounds of the sea blow right over you. Snap a photo of the Coast Guard lighthouse on the point, completed in 1914 — the original 1897 lighthouse, minus its tower, now serves as the lightkeeper’s residence. Ogle Fort Worden’s repurposed old buildings (1898-1917) on your drive in and out — or bring a kite to fly on the Fort’s parade ground field! The 1897 lightkeeper’s residence (foreground) and 1914 light station (behind, visible to the right) at Point Wilson. The quiet — but windy — beach at Point Wilson. * This site charges an admission price. Visit the web site for more information. Well written and very interesting. About ready to head over to PT and check it out! I knew there was a reason I am so fond of The Palace Hotel! I usually tie up at Point Hudson Marina and enjoy an evening stroll down Water Street to Waterfront Pizza and then Elevated Ice Cream. For a real delight I stop in at the Silver Water Cafe for the fine dining. PT is my favorite port-of-call! Thanks for the comment, Dave! I just tried the pizza at Waterfront the other day. It’s amazing! I’ll have to check out the Silver Water Cafe on a future visit.